Augmented Media term is created by us and means different kind of digital specialization projects and campaigns. Augmented Media is a special campaign or material that activates and engages the client. It is by far the most effective way to attract customer attention and to leave the best and most durable memory of promotional product or service. The most effective customer experience and memory footprint are created with the Digital Signage system with custom-made interactive special campaigns. For example, customer-driven games, SoMe-integrated content services, special events and promotions, and personalized, user-friendly and activating messages. The current technology allows almost everything, so only the ability to design and the budget is a limit to the implementations. We combine the latest technologies with creative content solutions, gather the necessary implementation teams and specialists together and create a tailor-made special campaign for you. Different motion sensors can scan the moves of the entire body and use them as part of the content of the gamification ads. This how the gamer will guide the progress of the game with their own moves. 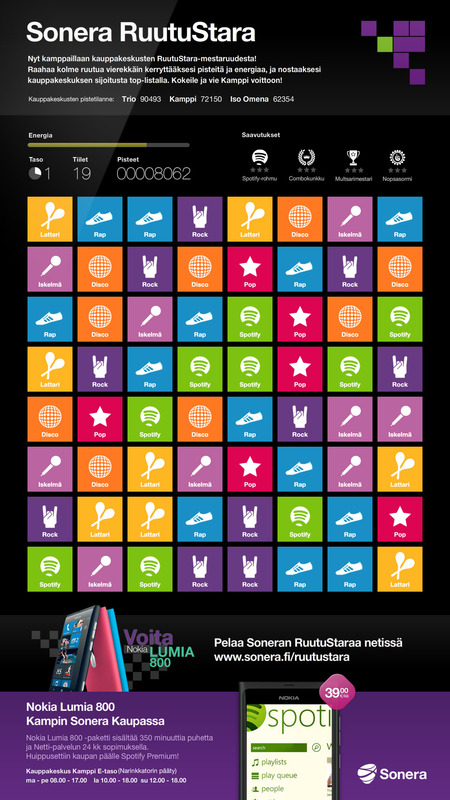 Games can also be controlled in other ways, for example: by mobile devices, dance rugs, wireless gadgets or even with big crowd movements or voice analysis. The game leaves a more powerful experience and memories compared to usual ads. After the game, the results of the game can be displayed and recorded in the result list for example in social media. At the same time, you can also collect customer contact details for later additional campaigns. Craneworks has implemented many special campaigns to customers, while also leveraging the power of social media. According to the public, the pace and visibility of public displays open completely new opportunities. Integrating a campaign into social media gives a tremendous extra dimension and reaches those who did not get into the event itself. Digital Signage screens can also show integrated campaigns and features like likes, check-in updates, images, videos, game results, video reviews, likes, and comments in real time. Interactive campaigns make people participate more. The customer moves from a passive viewer to an active participant of experiences. When a campaign, content and action that is being implemented have a strong connection to the product and its features to be advertised, it is possible to engage in fun, opinions, voting, positive feelings, and product features. After that, the customer feels that the products are more familiar and desirable than the other competing products. It is a good idea to create a multidimensional event, the happening, which brings people together and brings other media's attention to the event. Through this you will get more additional publicity. The crazier the idea is and the more special the implementation is, the bigger the media attention will be. Typically happenings are combined with digital media, music, dance, performance, physical activity, serving, customer gifts, charity and art. Many of the best special campaigns are based on a small, harmless clients' suprising, spooking, tricking, flashmobs or even public proposals trough huge displays. The best surprise campaigns are very memorable and get incredibly valuable social media visibility for even years after the campaign itself. When a good happening has been built and there happens something new and different, it is worth recording a viral video and sharing it in social media. This is how the video will continue marketing the event after it. The best videos can achieve a lot of attention. Sometimes, the viral video is actually the most important result of a special campaign. 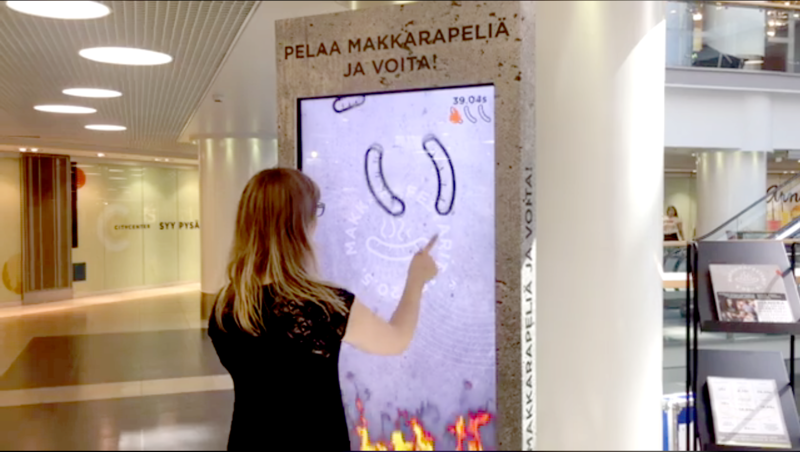 Interactive indoor totems at the Kamppi Shopping Center and large outdoor display, The Wall, has over the years been a test- and playground for numerous special campaigns. Kamppi has given energy to the virtual Franekenstein figure, made passers-by look like virtual little red riding-hoods, competed in Alepan Beat It! dance competition, launched the new Playstation Xbox One, premiered Madonna's new music video, proposed several times on a big screen, streamed christmas songs from Lohja Church and Don Giovanni opera from the old opera house, danced ballet, played various sponsored games on a big screen, arranged various happenings in Narinkkatori, enjoyed media art and collected blood to the Red Cross. Digital display surfaces only limit is imagination and the system is designed to support any crazy and impossible ideas. Special campaigns have been conducted in co-operation with several advertising and digital offices, as well as with our technical partners and external advertisers. DNA's worker disappears in Kamppi shopping center. DNA asks in social media whether anyone has seen the worker, which was last seen at the corners of the Kamppi DNA store? Watch the video about how the worker was found and what happened then. Craneworks designed and implemented the system that was used in the summer suprise with co-operation with Kuubi. Kuubi and Crane, together with Clear Channels and National theatre, implemented movement controlled Frankenstein Kinect game. Watch the video about how customers give their body forces to the Frankenstein figure. The National theatre got a huge number of new customer members through the game and can now be promoted of other upcoming performances. 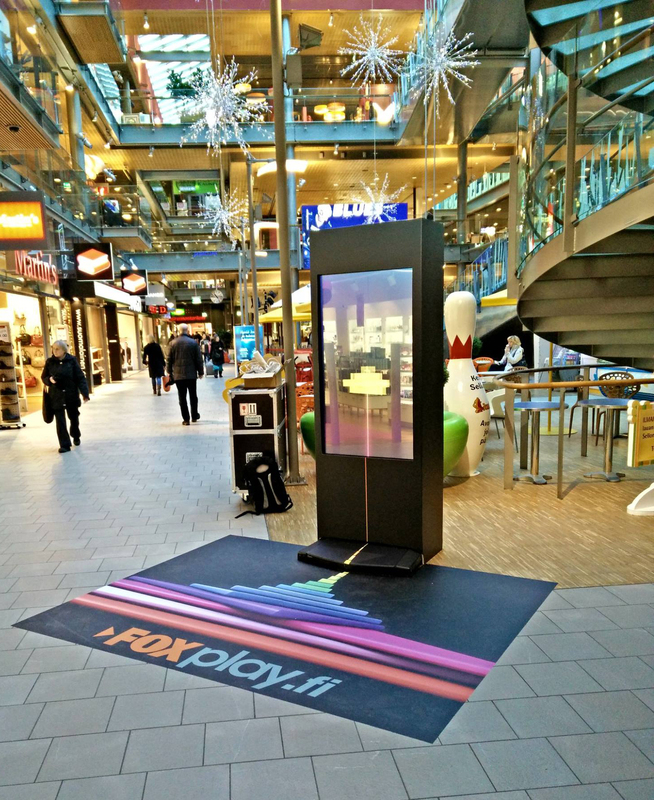 To support the RAY's Payazzo World Championship competition- campaign, a digital Payazzo game was implemented to a few shopping malls displays, that were packed in the look of the old wooden Payazzo coin game machine. 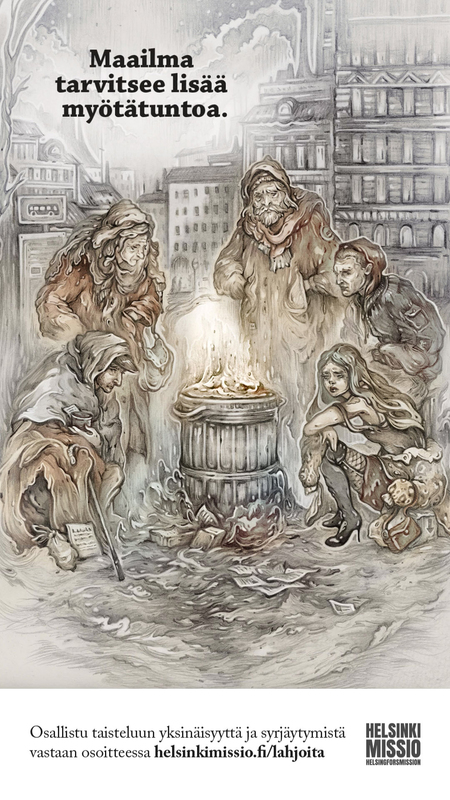 The game proved to be very popular and the campaign has been asked back several times. Tallink Silja's Serenade and Symphony ships were tailored with Delicoden to have a Kinect motion recognition Harri the seal-dance game. The game excited many customers of different ages and encouraged customers to play a good game of pleasure while cruising. 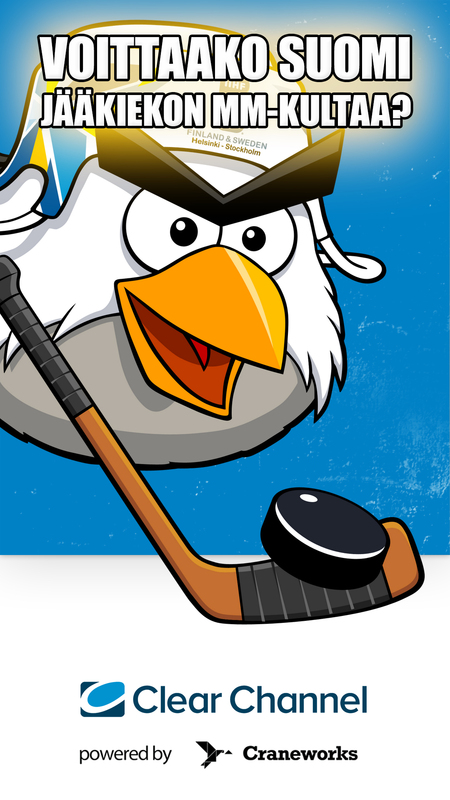 The game was part of Harri the seals' brand change where Harri got his old smile back. 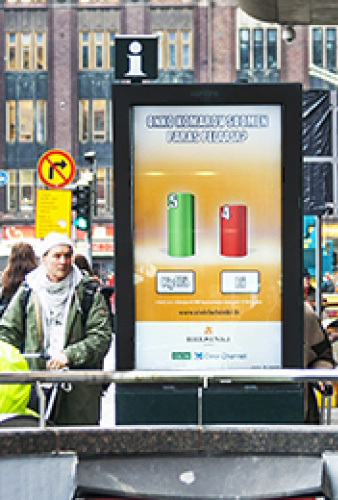 Polar's Everyday Heroes campaign was executed in Helsinki in shopping center Kamppi, Turku Hansa and Tampere Koskicenter. In front of the Kinect camera, a minute-long Polar Heroes game was played, fulfilled tasks and ended up as Everydays Heroes. Pictures were taken in front of the game and they were shared with #PolarSankarit hashtag and among the participants were given the Polar Loop prize. The Batman Arkham Knight Scarecrows Nightmare game on The Wall giant screen was manned by a networked BT.TN button. The passers-by pressed the button and that caused the content of the ad to change and at the same time they participated in a lottery. On Christmas 2017 we made a co-operation with Radio Nova and shopping center Citycenter, because of the 50th anniversary of the Makkaratalo celebration campaign, in Helsinki. 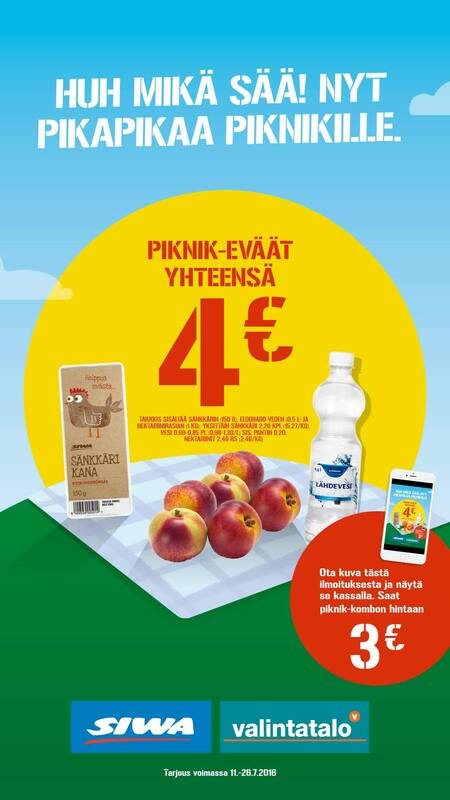 In the campaign, Radios Nova hosts ringed the phone and if customers responded correctly to the caller, they had a chance to win a 100 euros worth gift card to Citycenter. Right answer was "Makkaratalo 50-years!" redeemed many lucky passers-by to get a nice gift for Christmas shopping, for example. 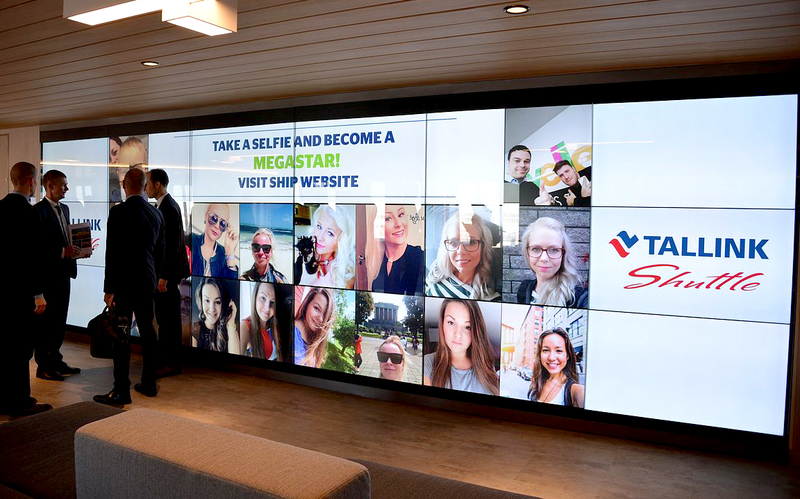 We developed a Selfie Wall to Tallink Silja Megastar ship that sails between Helsinki and Estonia. Where passengers can upload their own selfies to be shown on the ships big Megawall. The pictures are moderated by the staff arranged by Craneworks before the release, after which they will be shown on the Mega Wall as a picture mosaic. 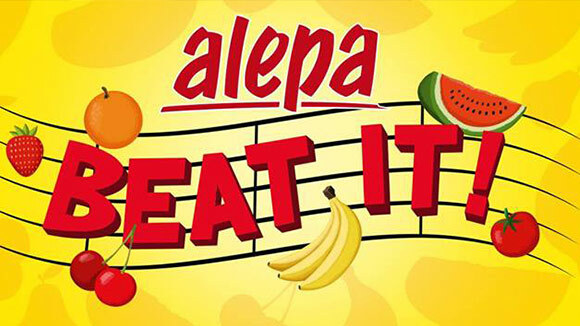 Alepa launched the Beat It dance game campaign online and organized on 06.09.2014 a grand ending to the campaign at the Narikkatori in Helsinki. Competitors danced on dance rugs and they were filmed with several different cameras, and the performances were screened on The Wall on a giant display that also featured score situations, events and statistics on the game. The Finlands' Red Cross Blood Service campaign wanted to pay attention to the blood donation and the blood bank's important activities. 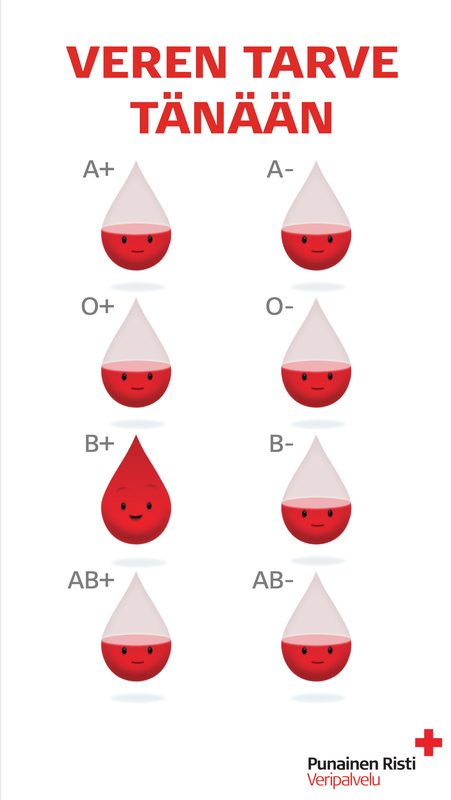 Cranework implemented an automatical up-to-date blood indicator that shows how much of each blood types are available in the blood bank. 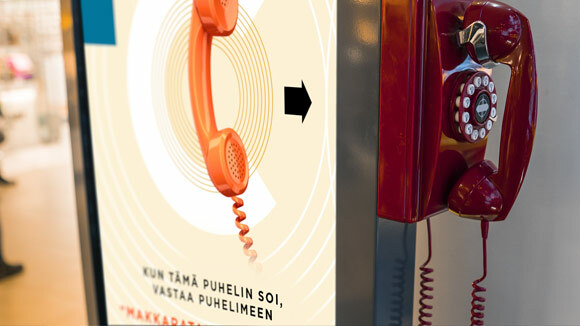 Outdoor displays in Helsinki and Tampere were placed near the blood donation points to capture the attention of passers-by and encourage people to donate the most needed blood groups. 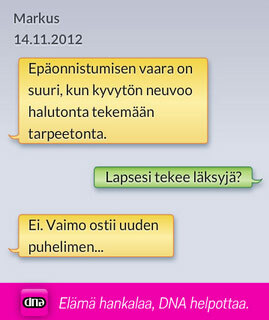 Helsingin Sanomat iPad was an interactive promotional campaign on touch screens where the content of the virtual iPad was automatically updated with news feeds. In addition, in the campaign had the opportunity to order more information of the iPad + newspaper promotional package to your own email. 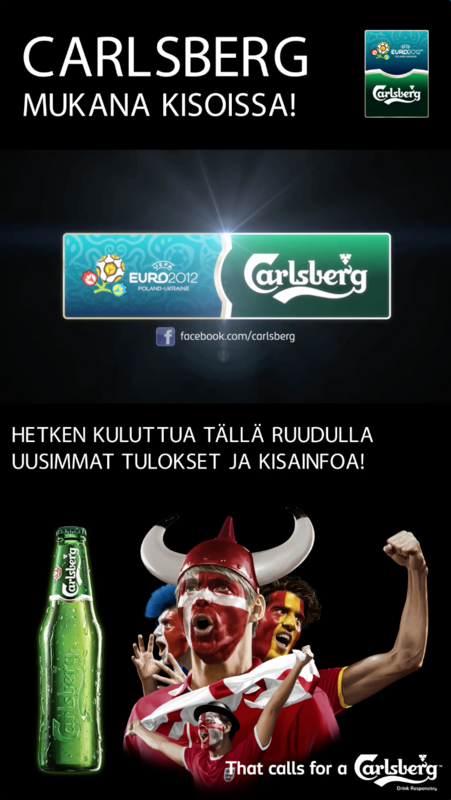 Craneworks implemented a real-time result service for Carlsberg at the European Football Championships in 2012. The results were presented from Clear Channels Down Town Digital's outdoor display. 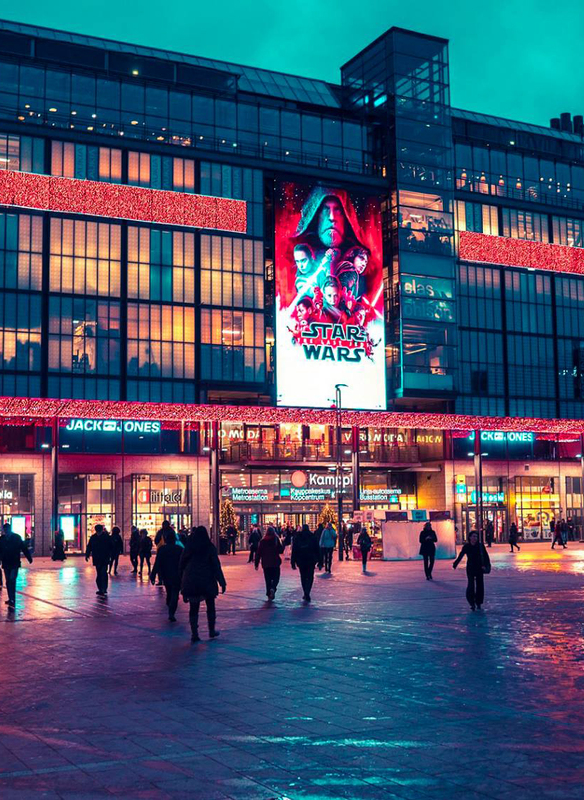 A customer record was broken in Kamppi shopping center in the end of December 2016, when 40 million customers visited. The development of the number of visits was monitored daily on Kamppis indoor and outdoor displays until the limit of 40 million visitors was exceeded. 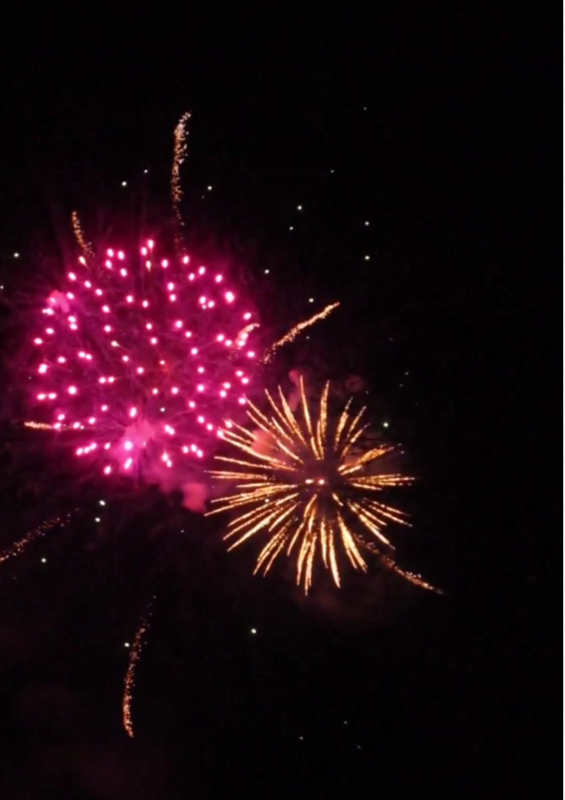 The customer that walked in last were rewarded and on displays were showed fireworks. Finnish National Opera and National Ballet organized 21.11.2014 a Christmas party in Kamppi shopping center. At the same time the Operas Christmas concert were performed in Lohjas Saint Lauri Church and it was streamed live on Kamppis The Wall display. 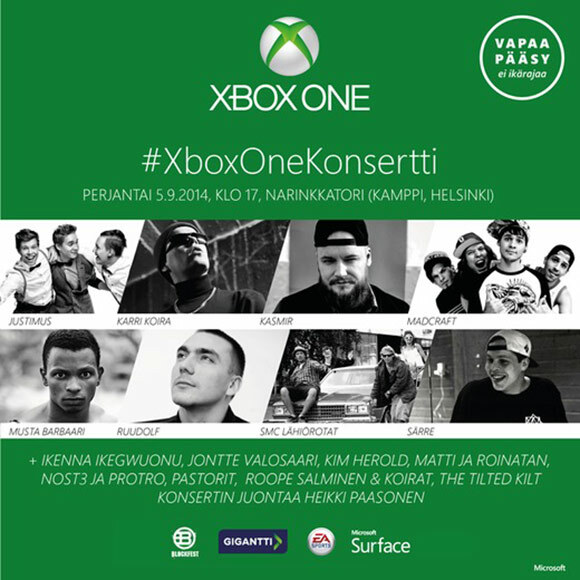 The concert could be watched from Narinkkatori. The orchestra's wind quartet played Christmas music at Narinkkatori during the day. In addition, the National Ballet dancers performed during the day in the shopping center. Also the audience got to show their own dance skills as part of So You Think You Can Muuv? workshop. A water campaign with Spring and charities has been executed at T2 side of Helsinki Vantaa airport. Where a passengers could take water from the shelf for free or pay the amount of money they want to be donated to charity. Plan and the Red Cross, for example, were helping with the campaign. Madonna's release of a music video "Give me all your luvin" music video was released in Kamppis indoor and outdoor displays and in the shopping center's audio system simultaneously with several other countrys and their cities (including London, New York) as part of the Clear Channel international campaign. 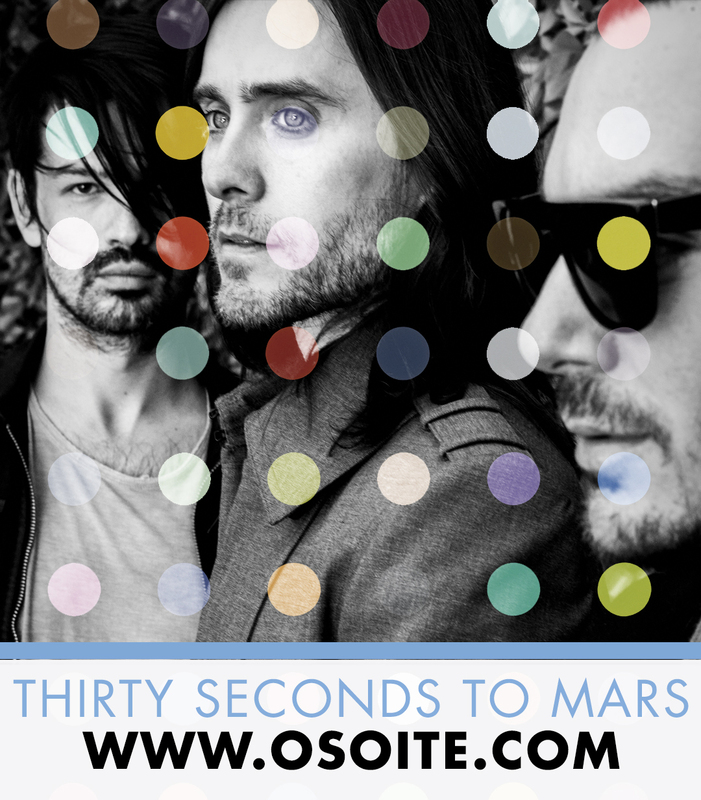 Craneworks's implemented a Twitter Thirty Seconds to Mars bands' new picture in Twitter with multiple tweets. Sometimes simple is the most beautiful. The Star Wars ad on The Wall in the right Christmas setting with a suitable slogan and also shared in SoMe had received many sharings and attention around the world. 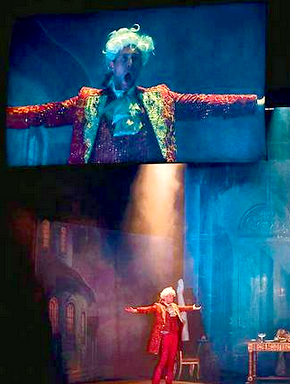 On the Night of The Arts in 2013 we streamed the Don Giovanni opera from Mozart's opera from Alexander's Theater directly to Kamppis The Wall display. This way the sold out performance could also be enjoyed during the summer night at the Helsinki Night of the Arts in Narinkkatori. 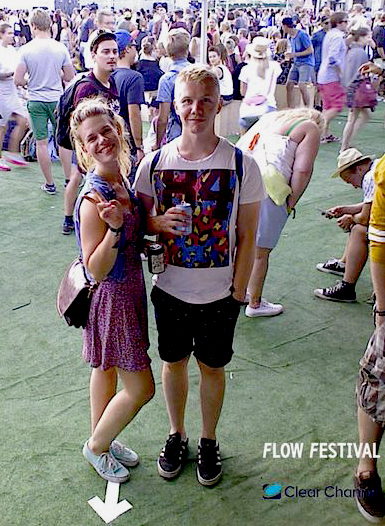 In co-operation with Delicode and Clear Channels, "Selfie-O-mat" was created for the Flow Festivals, which took a picture of the festivals and shared it to Facebook. Selfiemaatti was controlled and pictures were approved and shared by hand motions that were scanned using a Kinect camera. The DS Facebook campaign, which responded to the likes of the Helsinki Jokerit Ice Hockey Team, gained tremendous popularity. In the campaign, the audience was cheerful of the team and liked it on Facebook. On the first day the happening collected more than 15,000 likes on Facebook. The campaign was implemented in co-operation with the Nitro advertising agency. DNA's "Make Your own ad" campaign was executed in co-operation with Clear Channel, Hasan & Partners and the digital advertising office Byroo. 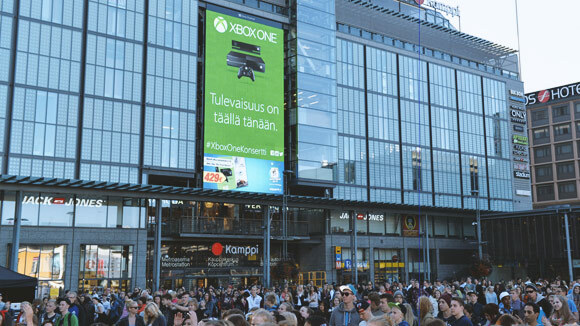 Users were allowed to make their own ads on the DNA website and the ads were displayed on the The Wall LED display at Kamppi Shopping Center. Craneworks integrated a real-time web camera image of a user's advertisement into DNA's website. 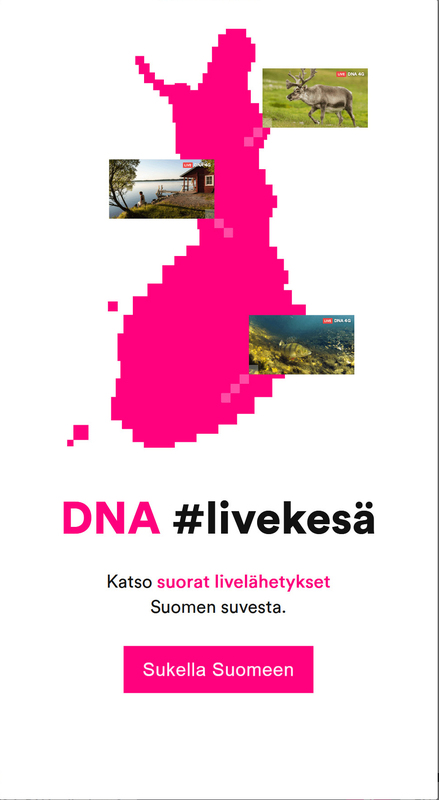 In the summer of 2017, in several shopping centers it was possible to watch Finlands' summer as real-time live stream from several beautiful locations around Finland. Kuubi was helping in the implementation. 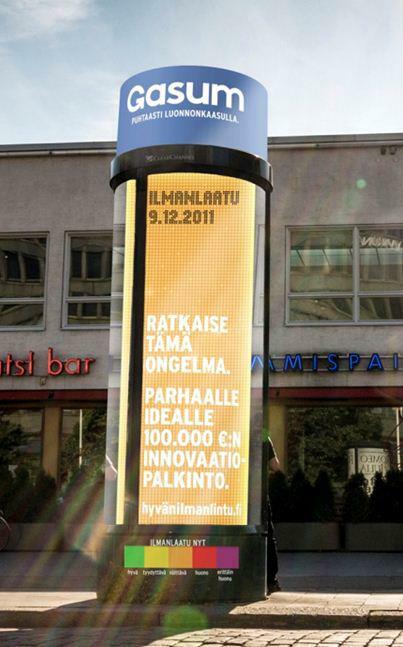 We planned an interactive campaign for the 2012 Helsinki Ice Hockey World Championship in collaboration with Clear Channel. Questions on the touch screens in key locations in Helsinki were asked and the audience was also able to participate in the competition via the Down Town Digital display screens. The campaign brought visibility to the competition in a new and interactive way. We designed and implemented the campaigns visual look and technical solution for collecting results. Sonera Ruutustara Interactive game was executed with Dagmar & FWD. 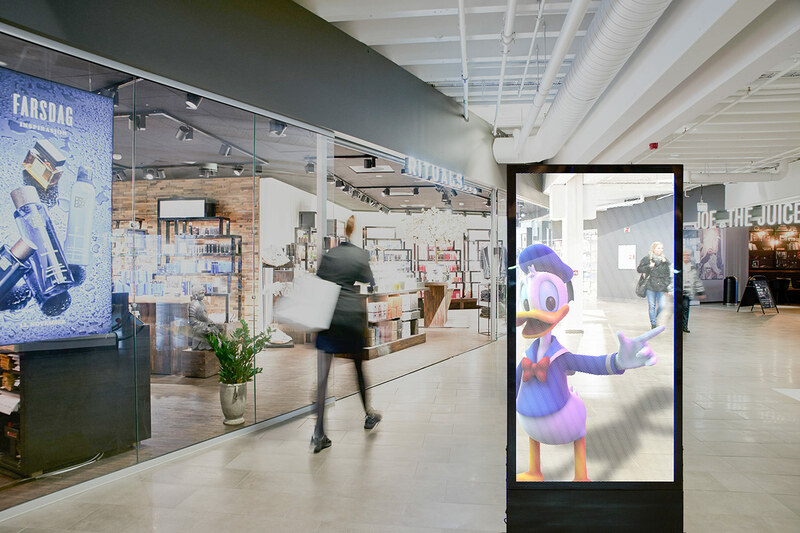 The players in the different shopping centers competed against each other in real time via infodisplays. 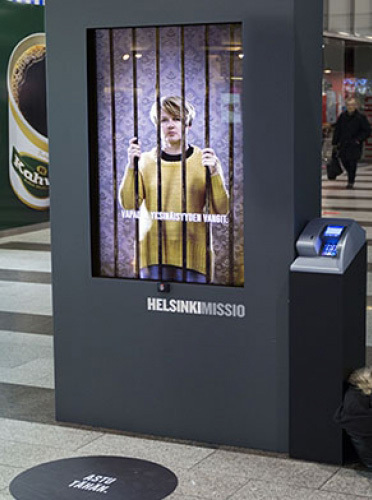 The City of Helsinki and the Metro magazine made a daily interactive vote on the city's touch screens in May 2012. During the two-week campaign, a total of 12 top questions about the Ice Hockey World Championships were answered, nearly 4,000 responses. In addition, during the campaign, pictures from the Metro were released by the citizens, which allowed the audience to use the touch screens to vote for the winner of the pictures. 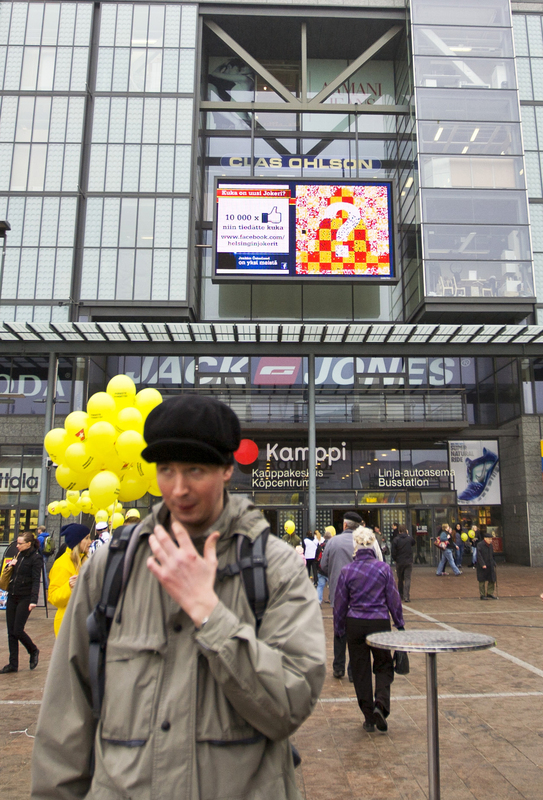 At the Kamppi shopping center, a motion-responsive advertisement was collected with 5 and 10 € donations for lonely people. A card payment was integrated into the info totem, whereby a donation could be made directly with a personal credit card. Clear Channels Down Town Digital network read real time weather data and selected suitable ads on the screen based on current weather conditions. 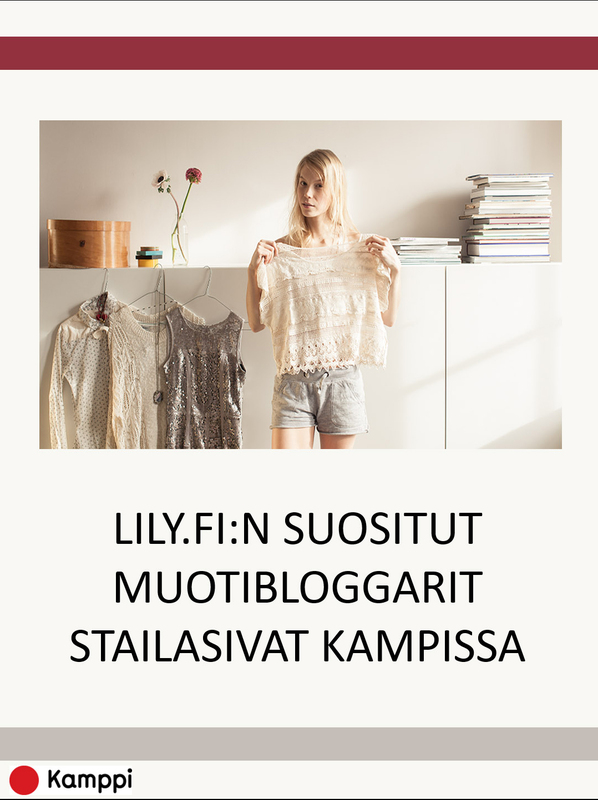 Clients were styled and the results were captured and published in the instagram, from which the photos were automatically showed from the Kamppi indoor and outdoor displays. 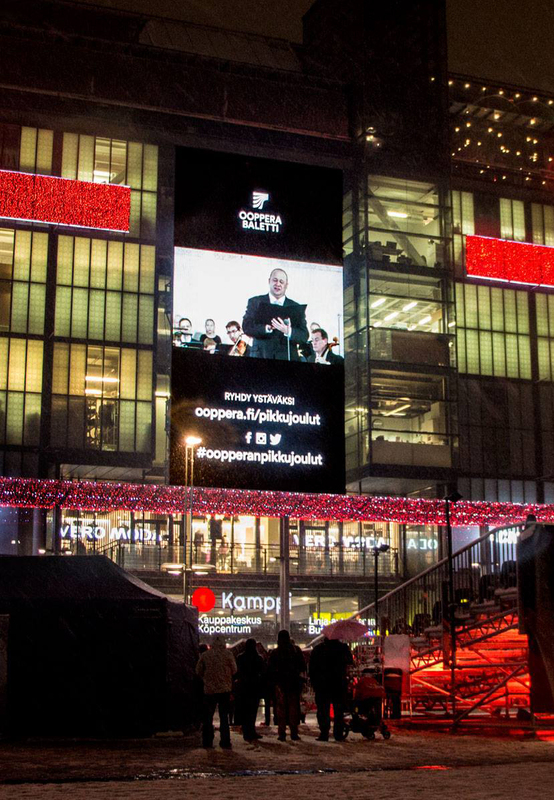 In the Kamppi, Christmas songs were played with motion detectors and donations were donated against marginalization. Basically everything is possible. Only your timetable and budget may cause us small limitations. However, we have become accustomed to working with our partners to push limits of possibilities. You can not get more better memory than this: When a customer participates in the campaign itself and achieves results, for example, gets the experience of the game and the score and reaches the ranking list is a memory trace of the event guaranteed. With social media tails, your campaign lives online long after the event. For example, playing scores or a screenshot of a customer as a game character can be shared in social media, which causes even more attention and contacts than the actual event. Because of their novelty and specialty, special campaigns get often published by other medias like in TV, web, magazines, Some. This will give you more free visibility. Special campaigns do not always have to be very expensive implementations. A well-designed and well-executed campaign can, with a small budget, get a big media attention.